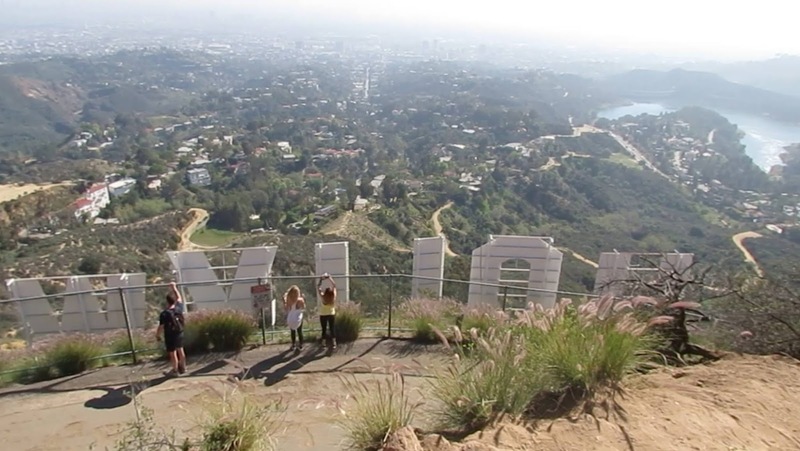 The 'Sports Luxe' trend gets thrown around a lot, more so perhaps than a Frisbee. With the reinvention of the beloved bomber jacket happening almost every month let alone season, and thanks predominately to the 90s revival it, like a Frisbee, has returned yet again. Previously, I've really resisted the trend but as part of my new thing (I'm taking Easter's offering of new beginnings to a whole new level and properly re-embracing everything social - with new videos on my YouTube channel this week too) I'm trying to care more about trends. I work in the fashion industry and have decided (over the weekend) that if I try them out for myself then I can fairly embrace them or hate them. That's my bizarre logic anyway. 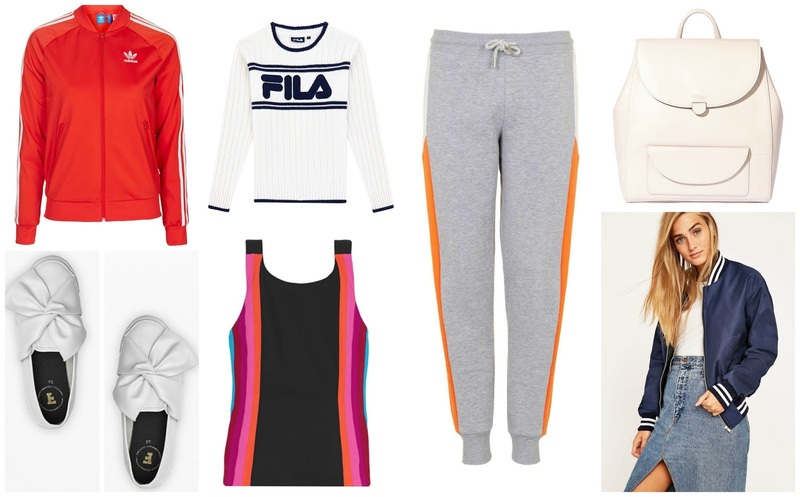 So, back to sports luxe... as a relaxed and almost lounging style it's not only super comfy but makes for a super easy way to be dressed up but down, to work. Look for soft jersey separates and stick to either dark (grey, black, white) or light (nudes, navy and peachy) hues. 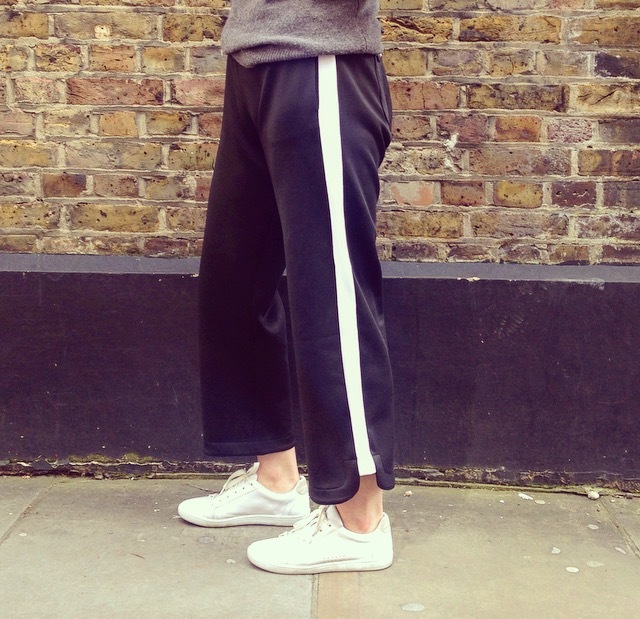 After briefly owning a pair of Adidas striped tracksuit bottoms when I was like 8, I never ever thought I'd wear a pair again (even in the safe confides of a gym...) but after the side stripe trouser was seen on the catwalk at Acne and Chloe, the high street followed and, very surprisingly, so have I.
I ordered up these 'luxe contrast side stripe jogger' trousers from Asos last week and haven't really taken them off since, they feel like they're made from neoprene (even though they're not) and, despite being a little longer than I'd like them to be, they work really effortlessly in my wardrobe. 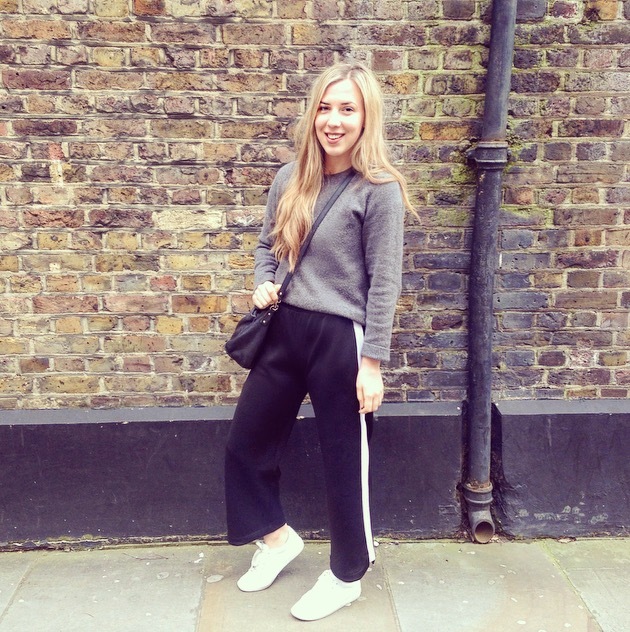 It's super easy to pair them with neutral pieces, such as grey marl jumpers and trainers now and they'll look cute with sliders and a plain tee when it eventually warms up. Tweet me @sarahrharrison to let me know if you're trying out 'sports luxe' this season! 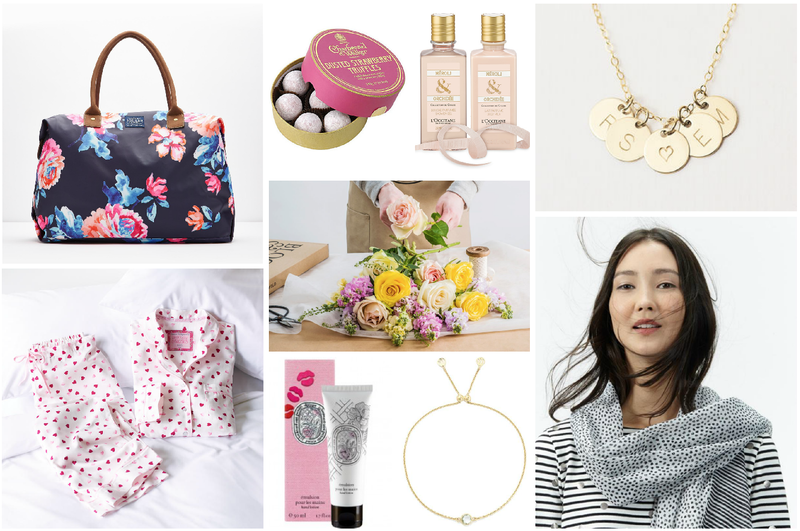 Kembry Bag, £69.95, Joules; Dusted Strawberry Truffles, £11, Charbonnel et Walker; Captivating Néroli & Orchidée Body Care Duo, £35, L'Occitane; Personalised Disc Necklace, £24, Notonthehighstreet.com; Wensley Scarf, £19.95, Joules; Aquamarine bracelet, £28, Gemporia; Limited Edition Eau Rose Hand Cream, £20, Diptyque; Printed Pyjamas, £35, Emma Bridgewater at Marks & Spencer; Bloom & Wild flowers, bouquet's from £20. If you're still on the search for the perfect gift for your Mum for this coming Mothering Sunday, I've got the perfect edit of lovely and totally affordable pieces that'll truly make her day! Classic, timeless options anything from this edit is certain to put a smile on her face: whether you opt for a pair of super-cosy printed pyjamas or a pretty printed scarf, she'll absolutely appreciate the thought. I'm currently away in America so I had to pre-plan my Mother's day gifts, I purchased this personalised necklace for her (with mine and my brother and sister's initials engraved) last year so opted for a bouquet of Bloom & Wild flowers and a classic Joules Breton (you can never, ever have too many Breton's). Tweet me (@SarahRHarrison) to let me know if you purchased any of these pieces!